Artist Diana Madaras says, “Painting fills me with joy.” She is equally well known for her bold, colorful artwork as for her generous charitable giving. Madaras owns the gallery in Tucson, Arizona that features her work, and she is president of the non-profit Art for Animals Foundation, a charity she founded in 1999 to help abused, injured, and orphaned animals. Madaras is a colorist who celebrates the subtle, natural beauty of ordinary scenes in a way that is both intense and dramatic. She paints in both watercolor and acrylic and has a diverse portfolio — from brilliant desert landscapes to expressionistic portraits. A signature member of the Southern Arizona Watercolor Guild, Madaras has been featured in a dozen one-woman shows, and her art has hung in the Tucson Museum of Art. She was named the featured artist of the Empire Ranch 100 Show in 2009. Much in demand for commissioned artwork, Madaras has completed paintings for Westin, Loews, and Miraval Resorts. She also has created 8 paintings for the estate of the former President of Mexico. 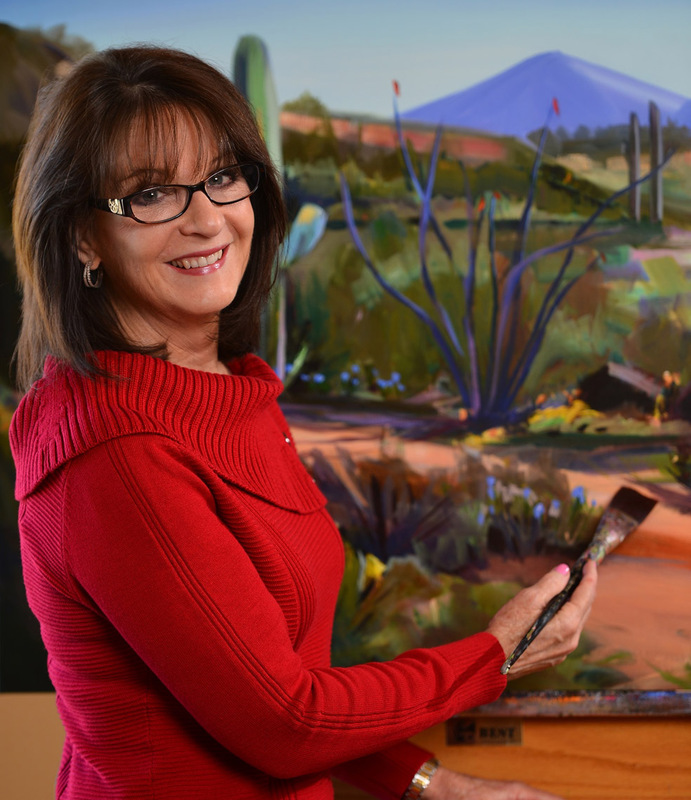 Her painting, The Blues at Old Main, was commissioned for the cover of the University of Arizona Alumni Magazine and her art has appeared on the covers of 6 other magazines, including Art Book of the West and Tucson Lifestyle. The Madaras Gallery features the largest collection of Tucson art, including 26 guest artists’ work. Included are paintings, canvas reproductions, prints, sculpture, ceramics, hand-blown glass, gourd masks, jewelry, and carved mesquite by renowned Arizona artists. Plus you’ll be able to see a unique line of museum quality Madaras Southwest gifts. The Gallery is a must-see for Tucsonans and visitors alike.